On every second Tuesday of the month, Microsoft releases a bundle of security updates How & Why You Need To Install That Security Patch How & Why You Need To Install That Security Patch Read More to all Windows versions. Patch Tuesday is both a blessing and a curse. On the one hand, vulnerabilities are sealed up; on the other, updates carry the risk of introducing unforeseen issues. 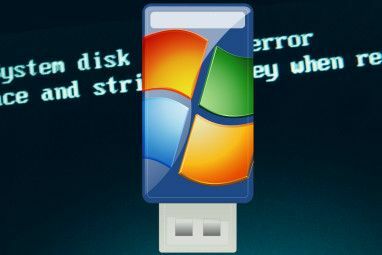 On older Windows versions, users have full control over Windows Update; they can review descriptions for each update and choose which updates to install. With Windows 10, Home users are force-fed all updates immediately Pros & Cons of Forced Updates in Windows 10 Pros & Cons of Forced Updates in Windows 10 Updates will change in Windows 10. Right now you can pick and choose. Windows 10, however, will force updates onto you. It has advantages, like improved security, but it can also go wrong. What's more... Read More . Until recently, users didn’t even have access to detailed information about updates. In February, Microsoft finally gave in to persisting demands for transparency and is now offering release notes for all Windows 10 updates. We’ll show you how to find out about updates in Windows 7 through 10, with Windows Update setup tips along the way. Between Windows XP and Windows 8.1, Windows Update hasn’t evolved much. Windows 10, however, brought significant changes. Not only did Windows Update move from the Control Panel to the Settings app, it also received a complete makeover in regards to its functionality. Let’s compare. Press Windows key + I to launch the Settings app How to Control Windows 10: The Settings Guide How to Control Windows 10: The Settings Guide The Windows control panel is on its way out. Its replacement, the Settings app, has received a significant upgrade in Windows 10. We'll reveal all its secrets for you. Read More , then navigate to Update & security > Windows Update. Per default, Windows will automatically download and install any available updates, whether they’re security patches or feature upgrades. You can press the Check for updates button to manually check whether anything new is available. Under Advanced options you can tweak how updates are installed and View your update history. If you’re using Windows 10 Professional, you can Defer upgrades relating to new features for a limited time; security updates will still be applied automatically. Under Choose how updates are delivered you can decide whether your computer can download updates from sources other than Microsoft, for example from PCs on your local network, which could save you bandwidth. We have previously shown you how to manage Windows Update in Windows 10 How to Manage Windows Update in Windows 10 How to Manage Windows Update in Windows 10 For control freaks, Windows Update is a nightmare. It works in the background, and keeps your system safe and running smoothly. We show you how it works and what you can customize. Read More . Please refer to this article for advanced instructions on how to defer or uninstall updates. In case you’re struggling with drivers, read our guide on how you can control driver updates in Windows 10 Take Back Control Over Driver Updates in Windows 10 Take Back Control Over Driver Updates in Windows 10 A bad Windows driver can ruin your day. In Windows 10, Windows Update automatically updates hardware drivers. If you suffer the consequences, let us show you how to roll back your driver and block future... Read More . To open Windows Update in Windows 7 or up, press the Windows key, type Windows Update, and select the matching result. Depending on your current Windows Update settings, your system is either up to date or updates are in the queue to download or install. Generally, we recommend the first option because it means your system will always be up to date and safe. If you’ve been having issues with updates in the past, you can go with the second or third option. Remember that this puts the responsibility of checking for updates and installing them on you! You should aim to install security patches immediately after they become available. Given Microsoft’s recent tendency to push Windows 7 & 8.1 users into upgrading to Windows 10 Microsoft Strikes Again - How to NOT Upgrade to Windows 10 Microsoft Strikes Again - How to NOT Upgrade to Windows 10 Windows 10 is now a recommended update on Windows 7 and 8.1 computers. If you're not yet ready to upgrade, it's time to double-check your Windows Update settings. We show you how. Read More and provided you don’t want to upgrade yet, we strongly recommend to disable Recommended updates How to Block the Aggressive Windows 10 Upgrade on Windows 7 and 8.1 How to Block the Aggressive Windows 10 Upgrade on Windows 7 and 8.1 Microsoft ramps up its efforts to make users upgrade to Windows 10. Come 2016, many people will wake up to a new operating system, despite never having consented to the upgrade. Don't be one of... Read More . For advanced information on Windows Update in Windows 7 Windows Update: Everything You Need to Know Windows Update: Everything You Need to Know Is Windows Update enabled on your PC? 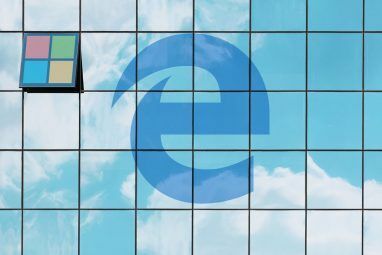 Windows Update protects you from security vulnerabilities by keeping Windows, Internet Explorer, and Microsoft Office up-to-date with the latest security patches and bug fixes. Read More , please browse our dedicated article. 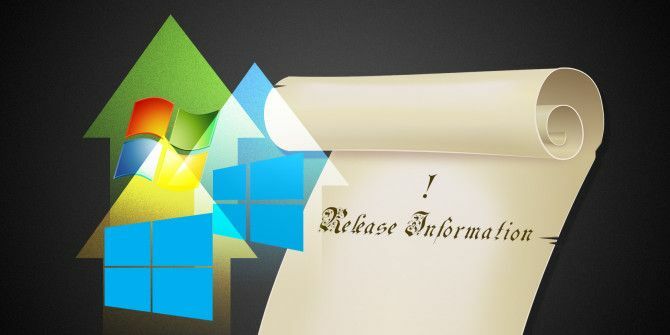 Now that you have an idea about how Windows Update is set up on your machine, let’s see how you can review detailed information about specific updates. An unwelcome consequence of the Windows Update redesign in Windows 10, is that it has become harder to gather information about individual updates. Still, you have several options. Under Settings > Update & security > Windows Update you may have noticed the prompt Looking for info on the latest updates?, also shown in the screenshot above. Click the Learn more link to open the Windows 10 update history page. Below the lengthy introduction, you’ll find a summary of the cumulative update packages delivered during Patch Tuesday. The list is sorted by Windows 10 branches, which presently includes the initial release version from July 2015 and the November update How to Upgrade to Windows 10 Version 1511 Now How to Upgrade to Windows 10 Version 1511 Now Can't seem to install the Windows 10 Fall Update? It wouldn't be the Microsoft we know and love, if there wasn't some kind of screw-up along the line. Let us help! Read More . At the bottom of the list, a link leads to the respective knowledge base (KB) article, which will reveal further details. A similar, but more detailed overview is available on Microsoft’s TechNet Windows 10 release information. The page lists current Windows 10 versions by servicing option, as well as knowledge base articles for all cumulative (Patch Tuesday) updates since Windows 10’s initial release. We find this overview far more useful than the Windows 10 update history page. For details about the contents of a Windows 10 update, you can refer to the respective KB article. A third-party resource for tracking Windows 10 builds is ChangeWindows. Scroll through a visually pleasing interface for an overview of the different Windows 10 desktop and mobile builds. Click on Full log for release dates, and a detailed list of specific changes, fixed and known issues. At this time, the site is focusing on build and hence does not provide links to individual Windows Update KB articles. However, below the current version details you’ll find a link back to Microsoft’s official announcement for the respective build. On older Windows versions it’s much easier to get information about installed updates. After you launched Windows Update, either through the Control Panel or through a Windows search, you can click on View update history to see a list of recently installed updates. Right-click on an update and select View details to access a summary of the respective update. For more information, click through to the KB article linked to at the bottom. Under Installed Updates you can review the complete history of updates installed on your computer and sort updates by name, program, date installed, and more. Select an update and you’ll find a link to the respective KB article at the bottom. Here, you can also uninstall Windows Updates When Windows Update Fails, This Is How You Fix It When Windows Update Fails, This Is How You Fix It Did a Windows Update crash your system? Here's a quick list of troubleshooting steps that will help you restore Windows to a functional state. Read More ; the option comes up when you right-click an update. The big advantage of older Windows versions is that you can preview and exclude updates before you proceed with the installation. From the main Windows Update window, click on the important or optional updates available for download and installation. In the next window, you can go through the list and view a summary on the right-hand side. At the bottom of the summary, you can follow a link to the in-depth KB article for each update. If you don’t want to download and install a specific update, remove the checkmark. You can also right-click and select Hide update, so it won’t be shown again or accidentally installed in the future. You can of course view and restore hidden updates any time you want. Whatever Windows version you’re running, you should now understand how you can inform yourself about current updates. We’ve also shown you how to manipulate the most basic Windows Update settings. Please review the articles linked above for advanced information. Now that you’ve seen how Windows Update works in different Windows generations, which one do you prefer? What features or options do you think are missing from Windows Update in the different Windows versions? 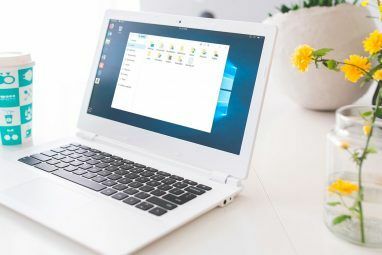 If your Windows Update isn’t working right, see our article on fixing a stuck or broken Windows Update How to Resolve Windows Update Problems in 5 Easy Steps How to Resolve Windows Update Problems in 5 Easy Steps Has Windows Update failed you? Maybe the download got stuck or the update refused to install. We'll show you how to fix the most common issues with Windows Update in Windows 10. Read More . Explore more about: Computer Maintenance, Windows 10, Windows 7, Windows 8, Windows 8.1, Windows Upgrade. Is there any way to print or copy & paste the update history. I sorted by name and it shows me that most failed updates were later installed but there are exceptions and I would like to id & list them. Could go blind trying to do it on screen. Beth, I'm afraid I can't help you there. I assume you tried to copy&paste individual lines or fields. Does that work? Even if it does, it would be tedious. I'm not sure whether there is another solution, sorry! Windows 7 user here, who remembers distinctly when Windows Updates were once labeled "Critical", as opposed to "Important" (there always was an "Optional" category). Would like to know the significant difference between what used to be termed as Critical and what Microsoft now deems Important. I have Win 7 and with Every Windows update you should note that on the right hand under the blue downward pointing arrow there is a link "more information" which takes you directly to Microsoft's website and gives you - more info. I have to agree with Peter Buyze on this, I nowadays check each update on Windows 7 as I just don't trust them 100% anymore. The main reason I don't update to 10 is the auto updates and most likely will not be upgrading in the future. The last para of your intro reads "We’ll show you how to find out about updates in Windows 7 through 10, with Windows Update setup tips along the way." I was expecting you to point us to a site which has the full details about each update, so you can check BEFORE installing. Instead, you just mention right clicking on the update AFTER installing it. So, while I understand there is no such site (MS's own descriptions are often ... non-descript), I find your intro disappointing & I did not learn anything new. The resource you were hoping for would be great to have! At the same time, I don't think I over-promised: I did show how to find out about updates in Windows. Windows 7 and 8.1 can be set up to not automatically download and/or install updates and it's possible to review updates prior to downloading or installing them! This has been covered under How to Learn More About Individual Updates > Windows 7 & 8.1 > 3. Available Updates. Isn't that (at least in part) what you were looking for? Windows 10 is a different story, due to the automatic nature of updates. But if you can defer updates, you can review the history page before installing feature updates. Unfortunately, Microsoft doesn't always manage to release KB articles in time for the deployment of the respective updates and as you say, they can be vague. I'd be happy to share a more insightful resource. You ask: "This has been covered under How to Learn More About Individual Updates > Windows 7 & 8.1 > 3. Available Updates. Isn’t that (at least in part) what you were looking for?" Sorry, but no, that is not what I was looking for as i already knew that. I understand the Windows knowledge level of your readers is variable, but anyone who has been doing his updates manually is aware of these options. With MS's surreptitious & sleazy ways of trying users to upgrade to Win10, knowing what an update is about BEFORE installing it is now more important than ever. Regurgitating info that has been in the public domain for a long time is not what I call news. So I repeat: I am disappointed. I also accept that at the end of the day the disappointment may well be my own fault for expecting too much from MUO. I'm sorry your expectations were not met with this article. The news-y part of this article was the newly released Windows 10 Update History page. I understand that's neither "the latest news", nor what you were looking for, but it's what prompted this article. I supplemented this news bite with other ways of gathering information on updates in all recent versions of Windows. You may be expecting too much from MakeUseOf if you think that everything we publish is novel or news. That's not our primary objective. We publish what we think readers can "make use of" and we try to break down technology to a level even novice readers can understand. If it's novel on top of that, awesome! But it's great to hear that expectations are high and we do strive to meet them whenever possible. I'll keep that in mind for future articles. Thank you for your feedback! Thank you for replying so quickly. I should have mentioned I am using Win 8.1. As for my high expectations: remember that as people become increasingly knowledgeable they expect, nay demand, ever more. And that goes for tech too. So if MUO wants to stay @ the cutting edge, it might be worth your while to focus on that. On Windows 7, Windows Update triggers the service Microsoft Anti-Malware and they both run at 25% CPU forever. I updated manually the Microsoft malware, same thing. It seems that there is a known issue there, I tried different fixes with no resolution so far. I think Windows Update has a bug that prevents to update itself. I had to turn both off, this is a nightmare. If someone knows a solution, I'll take it! Thank you for sharing, Fred. I hadn't heard of this issue, yet. I'd recommend posting your question / issue in a Windows Help Forum. And if you do find a solution, I'd appreciate to hear about it. Thank you!